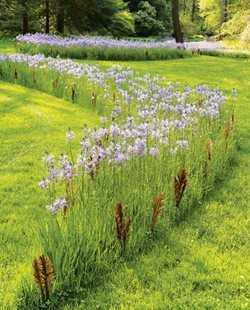 This gravel path provides a very natural walkway and helps to handle drainage on the property. Greenleaf Services Inc. in Linville, NC. 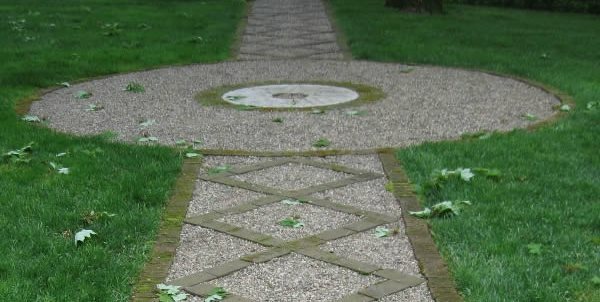 This pea-gravel path gets added interest from recycled brick and a repurposed millstone. 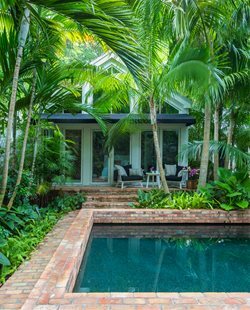 Setting other paving materials into a gravel walkway provides additional visual interest as well as stability. Gravel will be less likely to escape from this path because the bricks hold it in place. Susan Cohan Gardens in Chatham, NJ. 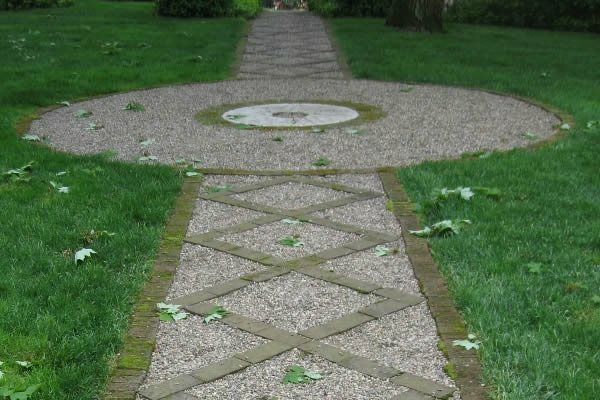 Unique edging can transform a gravel path. Here stones were used to line the edges. Landscaping Network in Calimesa, CA. A gravel path is simple, natural, affordable and attractive. 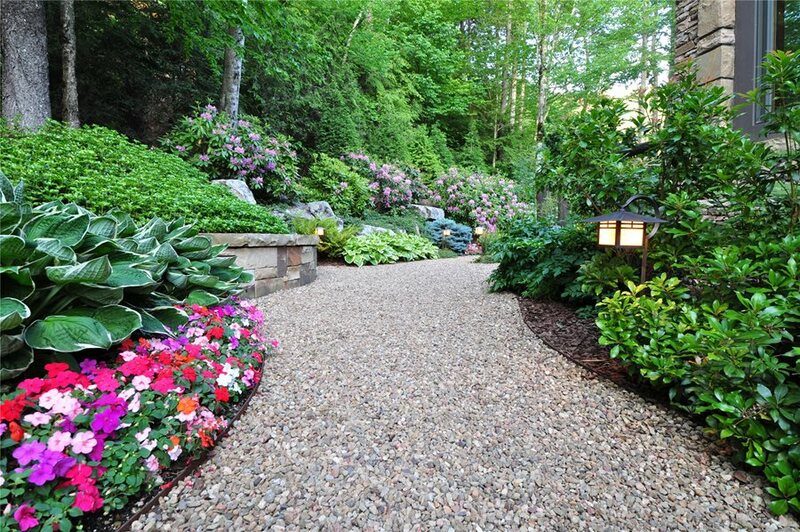 Depending on the border material used, a gravel pathway can complement a formal or informal garden. 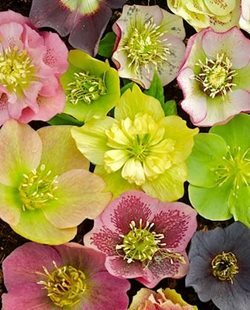 Gravel comes in a range of earthy colors and a variety of sizes; make sure the gravel is small enough that it will compact well. A gravel path may not be the right option if you have frequent snow, use a cane or walker, or would like to be able to walk bare-foot on the path. 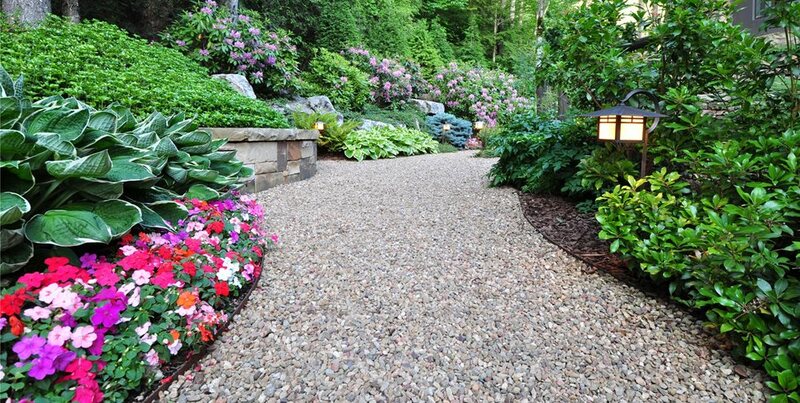 Since gravel is a loose material, walkway edging is essential to keep the crushed rock in its place.